Last month I saw, for the first time, a finished job that I had worked on last Fall. 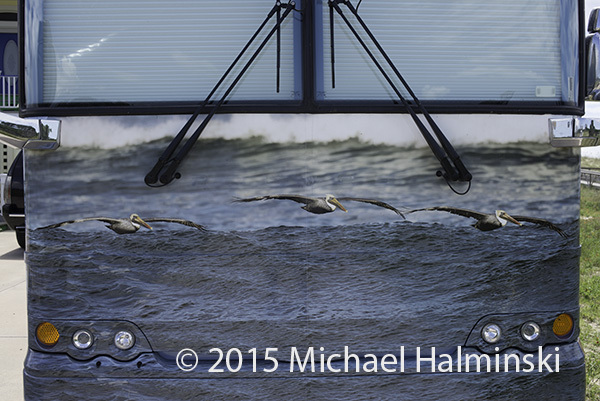 It involved making photos much larger than I ever imagined. 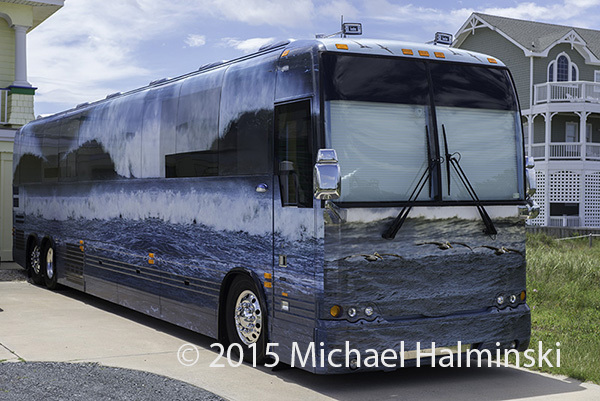 Collaborating with the owners, we came up with a complete photographic wrap for a 45 foot motor coach. It’s always nice to view published work, but this was done to another dimension. 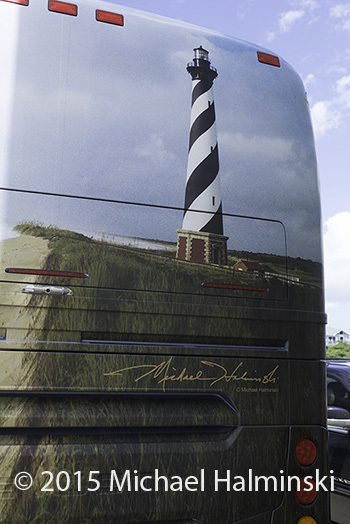 Bringing up the rear is the Cape Hatteras Lighthouse as shot in 1996 when Hurricane Edouard passed offshore. 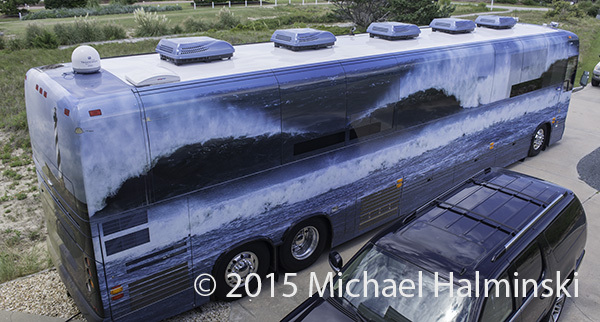 Starting out on a road trip, the coach drove by my studio one evening, honking one big hello. 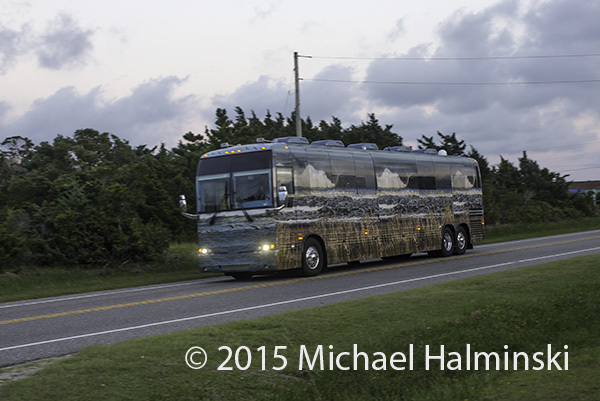 This entry was posted in automobiles, Outer Banks on August 22, 2015 by j0jgvm89bj.